Welcome to the 2018-19 school year. Once again, it is time to prepare for another school year. Please mark your calendars and plan for your child to be in attendance on the first day of school, which is August 8th, 2018. The school year will be the same as last year. The doors will open to the students at 7:15, and students will be late if they arrive after 8:00AM. We encourage all students to arrive by 7:45 so they can receive breakfast, as students must make it to the breakfast prior to 7:50 if they wish to receive breakfast. I want you to know that we are very honored for the opportunity to work with you and your child this year. With that said, the CATA staff is committed to working alongside you to ensure that your child receives a high quality education. To that end, I thank every parent for the support and guidance that you will provide your child towards reaching their full potential. I know it can be challenging to be a parent, and with the stringent guidelines of CATA, that challenge can become exasperating, however, the demands that we put on our children are there to promote excellence in them. So please accept my words of gratitude for your continued support as we strive to reach excellence in every one of our children. On that note, I am grateful, honored, and humbled that you chose CATA as your school of choice. 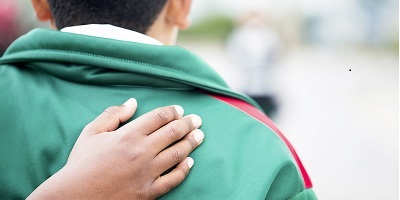 To provide quality and excellence, we ask that you assist us by ensuring that your child is in school on time every day, and that they attend school for the entire school day. As noted above, the doors open at 7:15, and students are late if they arrive after 8:00. Dismissal takes place at 3:30, as this is a pivotal time of the day for making sure that we get students in the correct placing to make it home safely. Therefore, we must uphold the policy of not releasing students between 3:00 and 3:30 with fidelity. In the event that you have an appointment, an emergency, or you need to pick up your child from school early (for any reason at all), please make sure they are picked up prior to 3:00. I will respect others, and I am worthy of respect. I will treat people as I want to be treated. I believe I can achieve success. For I am a Trailblazer. For those who understand the expectations of CATA, they know that these are not just words. Our pledge is taken seriously, and we anticipate that every student, staff member, and parent of CATA will adhere to this pledge and to our policies with passion. On a final note, the CATA staff and I, are fully dedicated and committed to providing a highly rigorous and challenging educational experience for our children. Once again, we have raised the bar, and nothing will stand in our way of providing an excellent education for every child we serve. To surpass the global standards of academic excellence by investing in partnerships with our students, community and home environments, in order to encourage the development of creativity and self-direction. 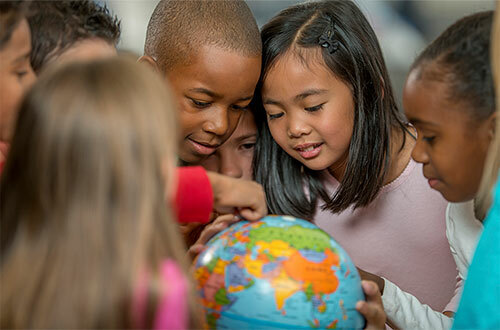 Through the cooperative efforts of the school community, students will develop the knowledge, responsibility and a positive self-concept needed to become effective citizens in our ever-changing and multicultural world. Columbus Arts & Technology Academy (CATA) is a Kindergarten through 12th grade public school that provides innovative instruction that is cutting edge to over 550 students. Our instruction is rich with classic and multi-cultural literature and our math and science program cultivates essential skills to meet academic excellence. Our classrooms are equipped with computers that are used as an integrated learning tool across the curriculum, and as a means to enhance our students’ application of technology literacy. The CATA staff is committed to giving our students the educational tools necessary to succeed in life. We work hard to provide support to our families and to our local community. Our staff subscribes to the belief that every child deserves an excellent education. If you believe you can contribute to our students’ success, please check our career opportunities! As part of the ACCEL Schools network, we strategically apply best practices to our curriculum design, teacher training, and integrated technology to drive continuous gains in academic performance. Our instruction is rich with classic and multi-cultural literature, and our math and science program cultivates essential skills to meet academic excellence. We care about the well-being and development of each child. We insist on a secure and orderly school. We address every aspect of security, from building codes and safety procedures to codes of conduct and character education. Columbus Arts & Technology Academy has a state of the art camera system, employs a full-time security officer, and extensively trains staff to ensure the safest learning environment for all students. 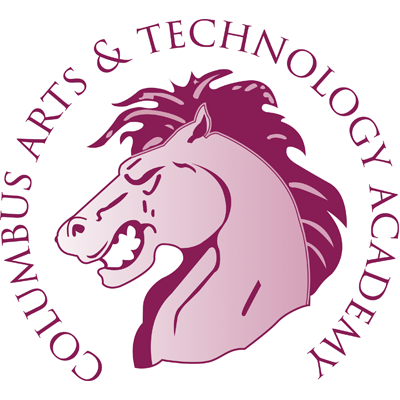 Columbus Arts & Technology Academy is authorized by the Ohio Council of Community Schools (OCCS) which provides oversight and enforces academic, fiscal, and legal accountability. Learn more about our sponsor here. Our small class size and dedication to a well-rounded education with a specialized focus on core academics and technology make Columbus Arts & Technology Academy a great educational environment.